You are going into our history books written in golden capitals. What a year!! 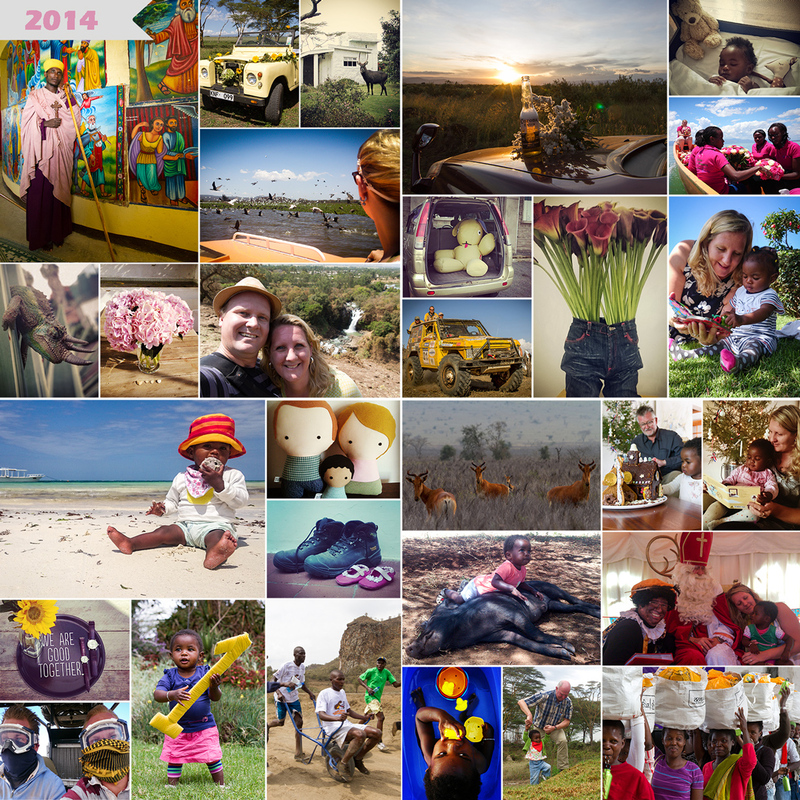 We tried to make a photo collage of all the amazing moments that together formed 2014, but there are so, so much more fantastic memories and beautiful photo’s, then places that can be filled …. We started the year of with a holiday to the enchanting Ethiopia, then there were lovely flowers for Valentine’s day, beautiful boat rides, an amazing farm wedding, and some of the creatures that make living in Naivasha pure bliss. In the second quarter of the year, we took the first step towards buying our own little place under the sun, RhinoCharged, worked our pants off at IFTEX….. but basically, all other events in the world were easily topped by the biggest highlight in our lives; meeting our beautiful Mia Keziah. In the third quarter we celebrated an amazing wedding at the beach, our own fourth anniversary, a wonderful stag- (and also hen-) do, and the very first birthday of Mia. The last quarter was party all the way through. Between the EGGS competition, visits of both sets of grandparents, Sinterklaas, and Christmas, I don’t think there was a single day without presents, sweets or other kinds of pampering. Saying goodbye to 2014 tonight will be a bit bitter-sweet. We are so grateful for all the blessings that 2014 gave us, but we wish for everyone that 2015 will be at least as prosperous.